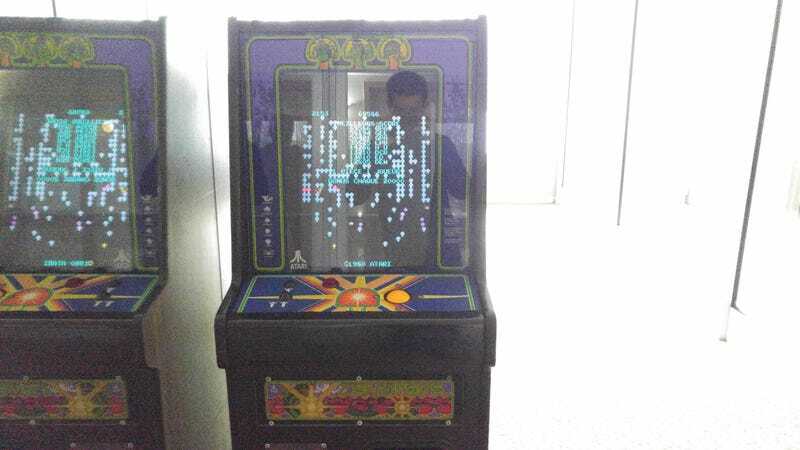 This is an old Atari “Centipede” Cabinet. Seemingly randomly placed in a O’Hare area hotel (Howard Johnstn Addison). It still works. Wow. This place is getting weird.